As with all of the nutrient cycles, microorganisms play a key role in carbon cycles. In fact, “We’ve illustrated that as microorganisms alter their environment, their environment then affects the type of microorganisms that are there and their activity.” This is a quote from the below article. the series of processes by which carbon compounds are interconverted in the environment, chiefly involving the incorporation of carbon dioxide into living tissue by photosynthesis and its return to the atmosphere through respiration, the decay of dead organisms, and the burning of fossil fuels. So, in effect, with carbon cycling by microorganisms, carbon would not be available for other organisms. Carbon is the basis for all life on earth. Tiny microbes play a big role in cycling carbon and other key elements through our air, water, soil and sediment. Not only do microbes capture and release carbon, contributing to a cycle that is central to life on Earth, they also release compounds that can change existing minerals and form new ones—in turn shaping the geology of the world around us. Researchers who study these processes at the Department of Energy’s (DOE) Argonne National Laboratory have discovered that these microbial communities are significantly affected by the types of carbon “food” sources available. Their findings, published in the journal PLOS ONE, reveal that the type of carbon source affects not only the composition and activity of natural microbial communities, but also in turn the types of mineral products that form in their environment. For their analysis, the researchers focused on microbial communities found beneath Earth’s surface that perform anaerobic respiration—a chemical process for releasing energy from carbon “food” sources that occurs through a complex series of reactions in an oxygen-free environment. 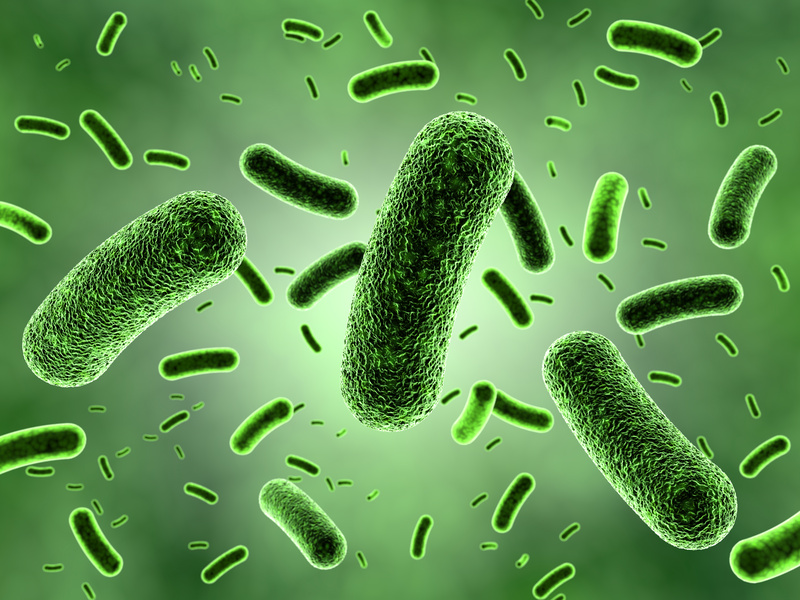 Bacteria take in carbon and release various chemical byproducts into the environment; some byproducts from this process change the minerals found in the surrounding environment. Researchers took these particular microbial communities and presented them with one of three carbon sources: glucose, a six-carbon sugar; lactate, a four-carbon compound; or acetate, a simple two-carbon compound. “In addition to choosing acetate, lactate and glucose because of their relative range of complexity, we chose them because they are representative of the types of carbon molecules found, in varying degrees, in subsurface environments,” said Argonne physicist Kenneth Kemner, a co-author of the study. After providing the bacteria these three food sources, the researchers spent weeks monitoring and measuring changes within these systems. Among other things, they measured the amount and rate at which glucose, lactate and acetate were used by bacteria, the mineral byproducts that formed in their environment and the types of microbes that were present at each time. “Studying the growth of microbial communities is something many researchers have focused on, but the fact that we’re combining this with the study of changes in the chemistry of these systems, and doing so in a very synchronized way, is what makes this work novel,” said Argonne biogeochemist Ed O’Loughlin, another co-author in the study. Analyzing these data side by side allowed researchers to see which types of microbes became more or less abundant given a specific set of environmental conditions. Overlapping these data also allowed them to observe how the microbial communities changed alongside changes in environmental conditions over time. “Past studies used only a few samples and measured changes across just a few points in time, such as the beginning and end state. In our case, we’ve collected data across many more points in time, helping to better characterize the response of the system over time,” O’Loughlin said. Their analysis showed that a distinct series of changes occurred consistently when microbes were exposed to lactate or acetate-rich environments. However, in glucose-rich environments, they observed varying patterns of changes. “We think that, because glucose is a larger, more complex compound that can be broken down into many simpler compounds, this opens up more chemical pathways in the community through which it can be used, and that this diverse metabolic potential accounts for the different patterns we’re seeing,” said O’Loughlin. “Finding out just what those parameters are that make a microbial community follow a particular pattern—that would be a direction for future research,” he said. Custom Biologicals manufactures beneficial microorgansims, including beneficial bacteria and beneficial Trichoderma fungi.